The October 2013 Contest is for a free Athlete Prayer of your choice to keep for yourself or give to a friend. Entry in to the Contest is simple, just send me your favorite Hill Workout on the Treadmill. You can Tweet or Direct Message it to me at my Twitter Account: @ontherunblog or use any of the other contact options listed on this website. The winner will be picked on Saturday 10/5 and announced on this blog, and Tweeted to the World. I will also include the winner's workout and a link back to their Twitter Account or Blog. 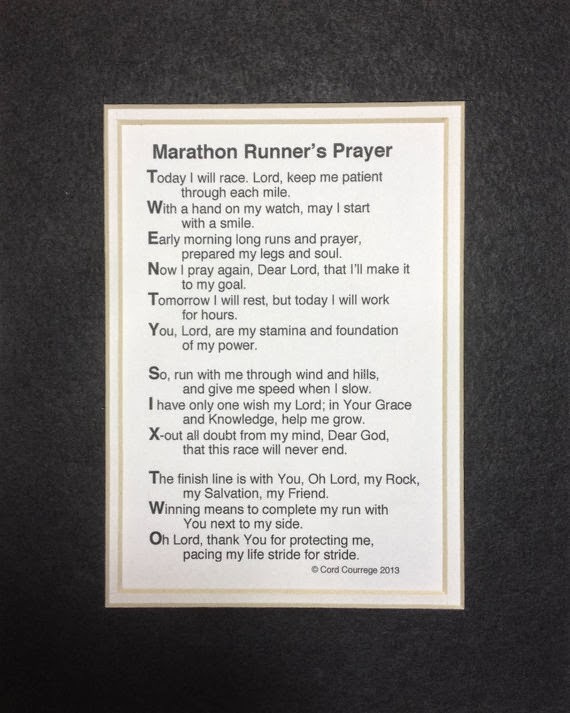 Check out the Athlete Prayers to see my current products and which ones you might like to keep for yourself, or send along to a friend.